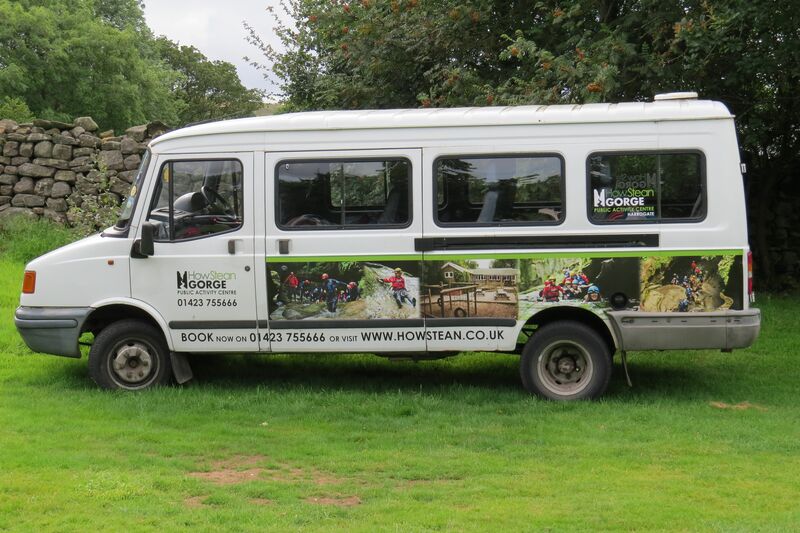 How Stean Gorge now have two 16 seat PCV minibus’s for hire in Yorkshire by both the general public and those coming to visit How Stean Gorge. Although we have a preferred distance that we like to travel, we are more than happy to provide our first class minibus service that little bit further if need be. Whether you are a group coming to spend a day on activities at the Gorge or going on an an evening out Harrogate or Leeds you can instantly get a price from our staff who are available 7 days a week. We are very flexible with our minibus hire, so let us know when and where you want picking up and we will always be happy to come and grab you. How Stean Gorge have 4 employees who hold their CPC for public service vehicles and are DBS checked, who will be delighted to transport you to your function Operator Licence PB1121663 R.
We are happy pick up and drop off day trips throughout Yorkshire so don’t hesitate to call us. Minibus hire is a must for those nights out when having a few beverages in town, we will take care of you and have you returned safely. Fixed Price for a late night out between How Stean Gorge and ….